Dubai: Justice has been served and this is a land where one can reside peacefully and fairly without any fears surrounding society, said a Russian woman shortly after her hoodwinkers were imprisoned. 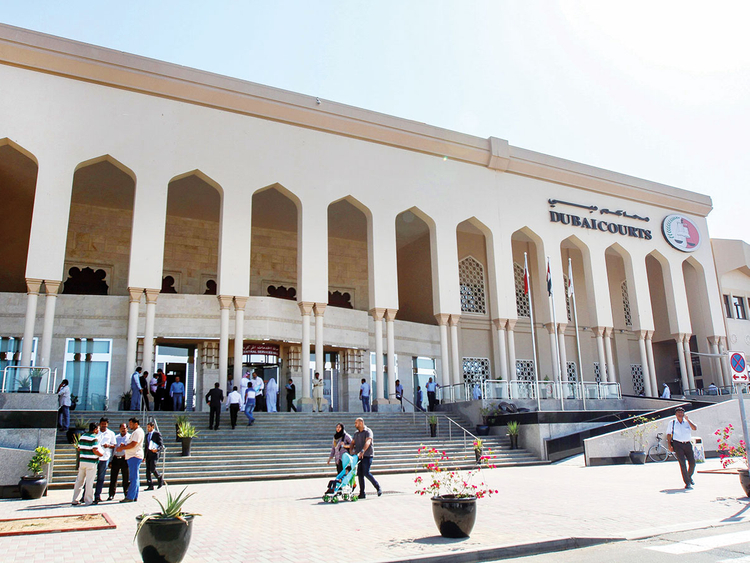 Two Asian men were ordered to serve a prison term by a Dubai court that also ordered them to pay Dh21,000 in compensation to the Russian resident, Svetlana, after she was conned and her money embezzled using deceptive methods. “The UAE is a land of justice where everyone is treated rightly and rights are not breached or taken away from you. Your rights will always be protected and preserved,” she said after having won her legal dispute against her perpetrators. The UAE celebrates its 47th National Day and since its establishment in 1971, millions of individuals have set foot in what a cross-section of residents have described as the homeland of “justice and safety”. The UAE enjoys one of the safest, secure and the fairest police and justice systems in the world, according to a number of residents who were interviewed by Gulf News ahead of the 47th National Day celebrations on December 2. “I’m the last person to speak about the justness and fairness in this country since I myself am a legal practitioner,” said Egyptian legal consultant Mahmoud M., a Sharjah resident since 2005. “I’ve been living here for 5 years and have never had any immediate interaction with the law enforcement bodies herein ... it was until when those two culprits lured me into thinking that I had won a grand prize with du. They asked me to pay certain fees to be able to collect a purported cash prize of Dh200,000. Immediately I went to the police when I discovered that I was being duped ... swifter than I had expected, police nabbed those culprits and they were put behind the bars. I can move on now and continue living peacefully and fearlessly here,” Svetlana told Gulf News outside courtroom 7 shortly after hearing that justice has been served. Across the hall, British-Pakistani Javed A. walked out of courtroom 9 with a smile on his face and his eyes wide open: “I’m free ... I am innocent, it was a malicious case that my employer had lodged against me accusing me of forgery and theft. Thanks God this is a place where one feels safe and secure in the hands of justice, unlike many other countries abroad,” he responded when asked about how safe it feels living in the UAE. Nepalese coffeemaker, Sarina S., says she feels perfectly safe and secure in Dubai where she has been living since 2014. “I feel it’s a safe place and especially for women. Aside from justice and fairness herein, what makes it even more special to reside here, is that women are always given more priority ... wherever a girl goes, she’s provided with that feeling of safety and comfort. Obviously, the legal system has been set to serve justice in this generous and secure land. My cousins and friends always go out at night to the beach or restaurant or groceries ... we never felt unsafe especially with law enforcement officers policing around the clock to curb any form of crime. Compared to where I come from, this is a safe land and I’m glad that I’ve chosen the UAE as a place to live in,” said Sarina who stressed that she’ll continue living in the UAE as long as she feels she’s being treated justly and fairly.